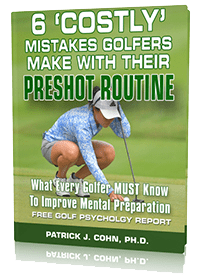 Mental Training and golf psychology Expert Dr. Patrick Cohn is the president and founder of Peak Performance Sports, LLC in Orlando, Florida, where he provides mental toughness training to individual and team athletes. He earned a Ph.D. in Education specializing in Applied Sports Psychology from University of Virginia. His peak performance programs help golfers, coaches, and even parents of aspiring athletes understand the mindset to perform consistently well on the golf course. Today, largely based on Dr. Cohn’s research and work with high level athletes, experts in the field of sports psychology consider him to be the leading authority on preshot routines and mental skills for entering the zone. 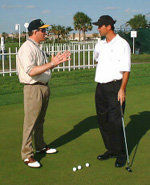 Dr. Cohn is also a mentor to many others in the field of mental game coaching and performance. 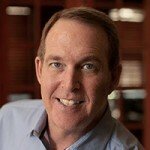 As a mental toughness specialist, many recognized sports figures and teams have sought out Dr. Cohn’s expertise. He has consulted with high profile teams such as the Miami Dolphins, NASCAR winners, NHL Players, National Motocross Champions, as well as PGA Tour professional golfers such as Brian Watts and J. L. Lewis. He’s also the author for: The Mental Game of Golf, Peak Performance Golf, Going Low, The Mental Art of Putting, The Golfer’s Mental Edge, and Breaking the Yips Cycle. Contact Dr. Cohn at Peak Performance Sports for more information about his golf mental coaching programs.